Sheila M. Dragon is the President and CEO of Dragon Design, LLC. She feels she can’t take all the credit as the founder, though. It was the constant coercion of family, friends and former employers that finally led her down the path of starting her own Design and Home Staging business, in 2005. This service oriented business also now offers Move Management and Document Organization Workshops as well. Sheila has always enjoyed helping people and thoroughly enjoys coordinating projects for people that need help selling their home, decorating, moving or all of the above! As a former employee of Ethan Allen, Inc., her manager and mentor was one of her largest supporters. Her time with Ethan Allen, Inc., aided in providing the additional training and support needed to further her talent. Sheila has had a long standing cardiovascular sales career as well, which gave her the business acumen and discipline to support that internal desire to one day have her own business. She understands how stress can affect the body and your heart. Between her time as an educator, designer, sales representative and student who also obtained her MBA, she finally decided to branch out into the entrepreneurial arena. She would like to thank all those supportive family members and friends and team members for their time, help and encouragement! Sheila Dragon began Dragon Design, LLC because she wants to help people achieve the look they love for their home! Since its inception, Dragon Design has evolved into a Company that can help you make your house a home during your stay there (Design Services Link), help you prepare your home for sale when it’s time to leave (Home Staging Services Link) and allow you to seamlessly transition (Move Management Services Link) into your new space and make it feel like home again! Collectively, she and her team of contractors can get the job done professionally and in a timely manner. Her team consists of professionals with design backgrounds, stay-at-home Moms and retirees (many of whom are downsizing themselves!) Our team knows, and can appreciate how to value other’s belongings. It is my hope that I can take my 16 years of education, business and design related experiences and support you as you embark on decorating, selling or transitioning from your existing home. As a designer, I pledge to you the goal of maintaining your budget and finding good, economical solutions for your home. This includes passing on possible discounts to you, which are made available to me as a designer. As an Accredited Home Staging Professional (ASP), my mission is to help you sell your home quickly and for top dollar! We will work together quickly to accomplish this goal. I will educate you, and always tell the truth no matter how difficult that may be, while respecting your home and your personal belongings. As a Certified Relocation & Transition Specialist (CRTS), my mission is you help you transition from one home to another, safely, as quickly as you need and as economically as possible. This includes getting your home prepared for sale simultaneously, if necessary. As an educator and someone who understands how important it is have life in order in case of any emergency, my mission is to help you give the gift of organization to yourself and your family by coordinating workshops that will keep you on track with one of those things you “always put on the back burner” until it is too late. Our My D.N.A Workshops are well worth the investment of time and I believe you will be thoroughly pleased with the outcome. Please contact us today via our contact page to schedule a consultation, or you can reach us directly at 610-299-1328 , or e-mail us at info@dragondesignco.com. 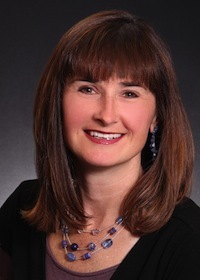 Colleen W. graduated with an Associate Degree in Hotel & Restaurant management in 1995. Since graduation, she has managed restaurants and, at one time, owned her own catering, staffing business, Sweet Pea Staffing. Interested in knowing more about computers, she received a certificate in computer applications from CHUBB Computer School and worked in the computer field as a project coordinator for 10 years. Seeking a more creative and flexible work schedule, Colleen W. joined Dragon Design, LLC team in the summer of 2008. When Colleen is not busy staging homes and helping people with the coordination of their move, she enjoys spending time with her family and her Belgian Milionis (dog), Otis. She and her family frequent the local Dog Park, their community pool and the Jersey Shore. Wendy K. graduated with a BA in Psychology from North Carolina University. She started her career by doing Fundraising, Event Planning and Development work for the first several years. She worked for the Muscular Dystrophy Association, Duke University and Eli Lilly and Company. She moved to the West Chester, PA area in 2002 and began to raise her family. In 2007, she and her family moved to Manchester England for 2 years and returned in the spring of 2009. After moving several times, both within the US and Internationally, Wendy realized a passion of hers was to make her houses look great to sell! She wanted to pursue her passion and completed the Accredited Staging Professional Course (ASP), through StagedHomes.com, just after met Sheila and expressing an interest in working with Dragon Design, LLC. She also enjoys her other passion of raising her 3 young children. In her spare time, Wendy enjoys tennis, traveling, the pool and spending time at the beach in North Carolina with her Dad. Joe is retired from a 32 year career with the federal government. His passion is Photography and he will soon have his own website up and running! He is now taking Art lessons and returning to his love of painting, as well. Joe helps us out on a regular basis, hanging the Art Work on staging projects. Some of his Photos can be seen if you look real hard! Merikay is a part-timer who is willing to step up when multiple projects require extra hands. She is a retired teacher with a Master’s Degree in Guidance and Counseling. Though her teaching career was interrupted while raising three daughters, she found her degree to be helpful as a mom, neighbor and friend. She also worked in the Airline Industry for 20 years. Dealing with the Public for so many years has given her much insight and empathy toward the needs of others. Merikay has been instrumental in organizing our new DNA docs venture and will actively be involved in running the workshops! Kathryn has Bachelor’s Degree in Fine Art and Interior Design from Moore College of Art And Design, in Philadelphia PA. She has a great eye for color, materials, and textiles. She enjoys working on individual design projects and helping clients to personalize their goals and the vision of what they want their space to become, though utilizing floor plans, materials boards, and elevations. She has been working with Dragon Design, LLC since graduation and looks forward to better understand the Home Staging & Move Management processes. With each new project she finishes for Dragon Design, LLC her knowledge base grows. She enjoys challenges and exciting projects! Debbie’s bio is coming soon!